Only one person dies due to the poison; by the weapons too only one living creature can die. But due to the incorrect decisions by the king, the king himself, the whole nation and its citizens can die!! If we read this “Shubhashitam” in Indian context, since independence, we have had miserable conditions for Specially Abled People in India, as if Indian Kings (Prime Ministers) never bothered to take proper decisions for Specially Abled People in India. I believe our beloved PM Shri Narendrabhai Modi is on his way to make India, friendly towards its physically and/or mentally challenged people, will take right decisions but before that happens, Akanksha Vardhaman Kale, only a 19 year old student presently pursuing her B.Com. Course in the Brihan Maharashtra College of Commerce [BMCC] which is affiliated to University of Pune and also pursuing Chartered Accountancy course with The Institute of Chartered Accountants of India, created a history for the Specially Abled People in India. Let’s see how! The sun looks alike while rising and setting. Great men/women too remain alike in both the good and bad times. 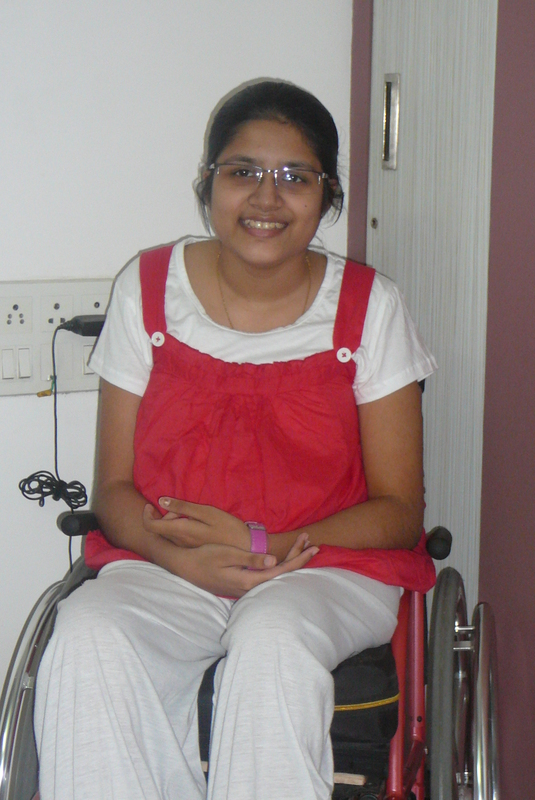 In April 2008 Akanksha, at the age of 13 years only underwent a surgery for removal of intramedullary spinal cord tumour. In May 2009 Akanksha had to undergo second surgery for the same cause as there was a recurrence of the tumor. 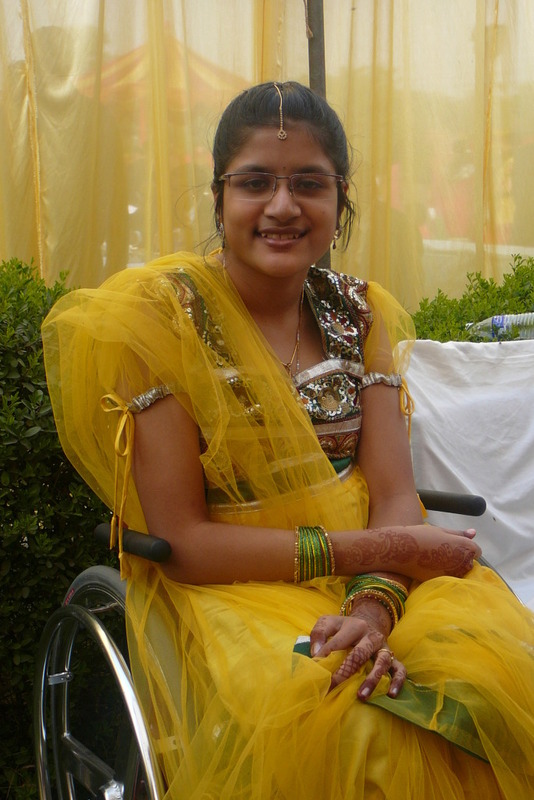 Unfortunately after second surgery Akanksha became paraplegic for life with severe Sensory and Locomotor Disability. She is a patient of established paraplegia. The tumor is very well present even after two surgeries and Radiotherapy and Chemotherapy treatment(s). At present only her upper body is functional. Power in both hands is intact. She regularly attends college. She was a good swimmer and katthak dancer, now she has been confined to a wheelchair for her entire life. But these physical challenges couldn’t stop Akanksha pursuing her studies. In fact, she worked hard, studied very well and secured 94% marks in her SSC, March 2011 Examination of SSC Board, Maharashtra. 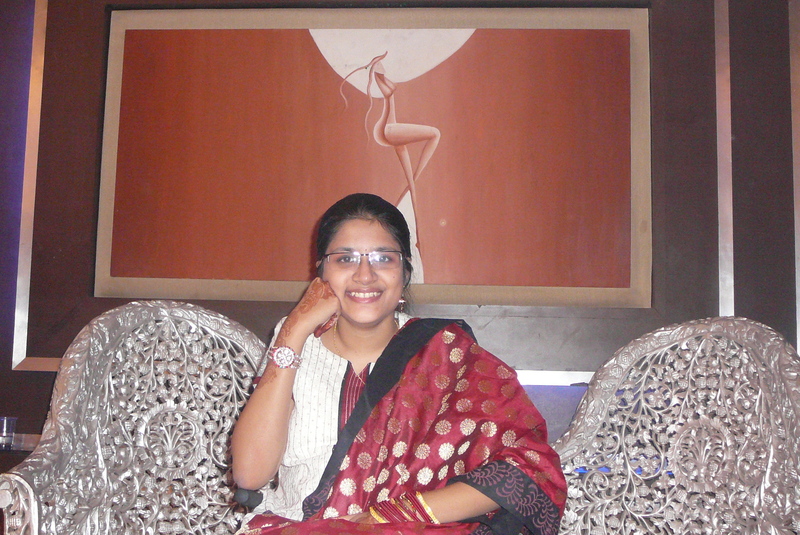 In June 2011 she got admission on merit through centralized admission process in BMCC, one of the oldest and reputed colleges in Pune, run under the aegis of the Deccan Education Society. Prior to her admission, Akanksha’s father, Shri Vardhaman Kale on his inquiry came to know that the requisite facilities of ramps for her accessibility by wheelchair and a washroom adaptable to wheelchair were not available in the campus of BMCC. Therefore, he had a meeting with its Principal on 20.06.2011 and informed him about the severe loco motor disability of Akanksha and requested him to provide barrier free environment to her. Akanksha’s father relentlessly pursued this matter with the College authorities throughout the academic year 2011– 2012. As the College authorities failed to provide the said facilities, Akanksha underwent a lot of hardships during the entire academic year, requiring her father and additional hands to manually lift her wheel chair to reach her classroom every day. This was potentially damaging to Akanksha’s dignity and self-esteem and it also unnecessarily made her dependent on other people. In addition to this, manually lifting her wheelchair was full of risk to her health because slightest of injuries to her spine can be dangerous after her two surgeries. Moreover, the college did not provide any female attendants to lift her wheelchair which was an added cause of concern for her parents. In such circumstances, even a so called “Normal” person will also get disheartened, may stop pursuing studies or may not perform well in studies. But Akanksha is really a specially abled, brave, intelligent, focused girl, who kept her challenges limited to her body only, didn’t let those challenges invade her mind, become hindrances in her studies and relentlessly increased her efforts to marvel in her studies!! As BMCC authorities failed to act upon the various representations of Akanksha’s father Shri Vardhaman Kale, he approached University of Pune as BMCC is an affiliated college of the University. Shri Vardhaman Kale, on 29.02.2012 made an application under RTI Act, 2005 (RTI) to The Public Information Officer, University of Pune for seeking information about the mandatory, essential and desirable facilities to be provided to the physically challenged students by the affiliated colleges of University of Pune. He didn’t get satisfactory, factual information. Therefore Akanksha’s father filed an appeal u/s 19 of RTI Act with the First Appellate authority i.e The Registrar, University of Pune, on 11.04.2012. The First Appellate authority, conducted a hearing on 23.04.2012. The First Appellate authority, vide his order in Appeal No. 30/2012, dated: 23.04.2012 allowed the appeal and directed the concerned sections of University of Pune to provide the information, to, Akanksha’s father immediately. He further directed to the Deputy Registrar, Academic section, Deputy Registrar, Reservation cell, Executive Engineer, Estate department, of University of Pune to take the necessary steps to provide the facilities for the physically challenged students and to submit the compliance report. Even after getting such clear order, the University of Pune failed to provide, complete information. On the other hand, for providing the necessary facilities for the physically challenged students, University virtually did nothing except issuance of one circular No. CA / 289 dated: 31.05.2012, in which it asked its affiliated colleges and institutes to provide information as to steps taken by them towards creating facilities for disabled students on their campuses as per Section 7 (3) of Maharashtra Universities Act and orders, guidelines or rules issued by the Govt. of Maharashtra, the Central Govt., University Grants Commission, A.I.C.T.C. as also the Honorable Supreme Court and various High Courts in that regard. But no steps had been taken by the university and its Affiliated Colleges towards implementation of the said circular. Akanksha and her father kept fighting this never ending battle so that not only Akanksha but all the other specially abled students need not go through these painful ordeal in their studies. Even the Vice Chancellor, University of Pune gave an assurance that he would look into the issue and would resolve the same as early as possible. But nothing happened on ground!! On 22.05.2012 Akanksha’s father, addressed a communication to The University Grants Commission (UGC), a statutory body of the Government of India established through an Act of Parliament for the coordination, determination and maintenance of standards of university education in India and brought to its notice, the continuing apathy and inaction on the part of the BMCC authorities. The Joint Secretary of UGC Pune office on 14.06.2012 wrote a letter addressed to BMCC and requested to provide best possible facilities. But nothing could change so called great BMCC college!! Akanksha’s father therefore addressed a representation dated 03.05.2012 to the Chief Commissioner for Persons with Disabilities, New Delhi through email, bringing to his notice, the continuing apathy and inaction on the part of the College Authorities. 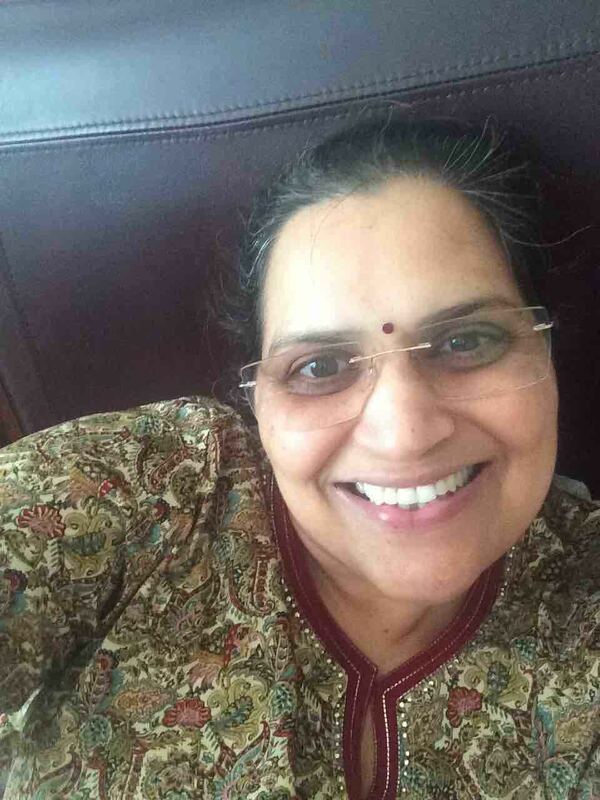 The Chief Commissioner for Persons with Disabilities, New Delhi then addressed a communication dated 25.05.2012 to The Principal Secretary, Technical and Higher Education, Government of Maharashtra, , BMCC College Authorities and to Akanksha’s father. In this communication, the Chief Commissioner for Persons with Disabilities, New Delhi referred to the statutory provisions of the said Act and directed Principal Secretary, Technical and Higher Education Department, Government of Maharashtra to direct the College authorities to act in accordance with the provisions of the said Act and also to report its compliance within 15 days. Still the college took no action!! The Principal Secretary, Technical and Higher Education Department, Government of Maharashtra also did not take any steps in this regard. The Chief Commissioner for Persons with Disabilities, New Delhi, thereafter sent reminder letters to The Principal Secretary, Technical and Higher Education Department, Government of Maharashtra on 14.08.2012 and on 21.09.2012. In spite of repeatedly receiving the reminder letters from the Chief Commissioner for Persons with Disabilities, New Delhi, the Principal Secretary, Technical and Higher Education Department, Government of Maharashtra turned a blind eye towards the matter. By completely ignoring the order passed by the Chief Commissioner for Persons with Disabilities, New Delhi, the Principal Secretary, Technical and Higher Education Department, Government of Maharashtra not only violated basic human rights but also laid down a very bad precedent by stifling the direction passed by a statutory authority. On 11.04.2012Akanksha’s father made an application under RTI Act, 2005 to The Public Information Officer, of BMCC for seeking information about the mandatory, essential and desirable facilities for physically challenged students and relevant rules / directives / circulars issued by University of Pune, Government of Maharashtra, High Court and Supreme Court which are binding upon BMCC. Since no information was received in response to the RTI application dated 11.04.2012, Akanksha’s father filed the first appeal under RTI Act before the Joint Director Higher education, Pune Region, Pune on 20.06.2012. The Joint Director Higher education, Pune Region, Pune, vide his letter dated 17.09.2012 directed BMCC authorities to provide ramps near Library, canteen, Assembly hall within 15 days and to construct a washroom adaptable to the wheelchair user within one month. He also directed them to submit the compliance report to his office. The Joint Director Higher Education, Pune Region, Pune, then issued Circular dated 25.09.2012 directing all the government aided colleges, affiliated to University of Pune to create barrier free environment. After receiving directions along with some strict words from the Joint Director Higher education, Pune Region, Pune, BMCC authorities first constructed the ramp and subsequently constructed a wash room adaptable to the wheelchair. Thus, the physical facilities were created by the BMCC authorities after 14 months that too with rigorous follow-up by Akanksha’s father. As none of the colleges affiliated to University of Pune, have acted upon the Circular dated 25.09.2012, The Joint Director Higher Education, Pune Region, Pune, after about 17 months issued Reminder Circular dated 28.02.2014 directing all the colleges affiliated to University of Pune, to act upon the Circular dated 25.09.2012 and further directed them to submit the report for steps taken for implementation of circular dated 25.09.2012 within 15 days to his office and if no steps have been taken in this regard then the reasons thereof. Even after the instructions from The Joint Director Higher Education, Pune Region, Pune, BMCC authorities did not provide the information and therefore Akanksha’s father was constrained to file second appeal with State Information Commissioner under RTI Act, 2005. This appeal was heard on 30.09.2014 and order of the State Information Commissioner is awaited. After passing higher secondary examination, Akanksha had taken admission to B.Com. Course in BMCC, Pune. Simultaneously, she decided to pursue Chartered Accountancy course conducted by the Institute of Chartered Accountants of India [ICAI]. This is incredible, even after so many hardships she faced; she wanted to pursue such a professional and tough course! Shri Vardhaman Kale, a Chartered Accountant himself, thought ICAI, of which he himself is a member over last 25 years will definitely create barrier free environment for his daughter and other specially abled students. But here also the experience was the same as before! Shri Vardhaman Kale wrote to all the authorities of Institute of ICAI in this regard in general and more particularly about the need of barrier free environment with a view to Akanksha’s seating arrangement for CA examination. CA examinations are usually conducted at the colleges hired by ICAI as Examination Centers throughout India which are by and large government aided, and still they don’t have barrier free environment! Akanksha put in remarkable efforts and still the deaf and dumb authorities of ICAI and colleges didn’t provide or at least even try to provide these basic facilities of ramps and a washroom adaptable to wheelchair users. In December 2013 she appeared for CPT examination of ICAI at a center where washroom facility adaptable wheelchair was not available. She had to spend more than 8 hours at a stretch at such examination center, which caused serious health and hygiene issues. 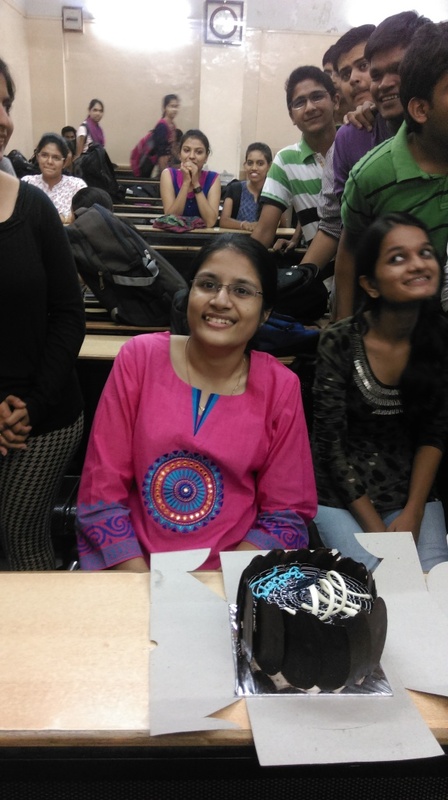 With these difficulties Akanksha passed the CPT examination in the very first attempt in January 2014. We direct respondent no. 6 University of Pune to issue general instructions to all the colleges/educational institutions, examination centers and concerned departments to provide barrier free environment for students with disabilities, viz. ramp facility, lift, washroom facilities to accommodate wheel chairs, etc. Similarly, the Chief Commissioner for Persons with Disabilities at New Delhi and the Commissioner for Persons with disabilities for Maharashtra State at Pune will also issue general instructions to all the educational authorities in the country calling upon them to provide barrier free environment to students with disabilities. The compliance report regarding issuance of specific instructions to educational institutions/colleges to provide the aforesaid facilities by 31 March 2015 shall be submitted by 15 December 2014. Really Hats off to Akanksha, her father Shri Vardhaman Kale, mother Mrs. Vardhita and sister Krutika, for resolving this age old important and sensitive issue for all the specially abled persons. It is said that, if one dilutes milk with water, and it gives to swan, swan is able to extract milk and drink it. (dudh ka dudh pani ka pani) Swan is white; crane is (also) white. (Then) what is the difference between crane and swan? When it comes to extracting milk from a mixture, swan is swan and crane is crane. i.e. crane does not have this ability. But Akanksha you have proved that you are the best swan of the world, you have extracted the milk out of these painful circumstances, you are the conqueror and your name is written with golden words in the history of India! It is worth mentioning that while the entire family of Akanksha was passing through the traumatic experience of the second surgery, it was Miss Krutika – Akanksha’s elder sister who was not only looking after Akanksha’s well being along with nursing care but also pursuing CA final studies. In June 2011 Miss Krutika passed CA final examination in the very first attempt with flying colours bearing all the pressures of her beloved little sister’s battle for life. If every Akanksha gets a father like Shri Vardhman Kale, there would not be a single unhappy, uneducated physically challenged person in India. We really salute you Sir, Shri Vardhaman Kale, the driving force for Akanksha’s inspirational activities! Nice to read the article. The Society and Government should take lesson from this and immediately initiate the process of creating barrier free environment at all educational institutions, Universities, Government buildings, Public places and so on. Thanks to Lailithbhai for taking note of battle of Akanksha. A person with enthusiasm is a powerful person. There is nothing as powerful as enthusiasm. nothing is impossible (‘durlabhah’ literally means unachievable) to an enthusiastic person. This subhashit says “If there is a will, there is a way.” Nothing is impossible; one must push it till the end. The article is very detailed one.Thanks to the little girl Akankasha ,her father and entire family for showing the grit and determination to face and battle out the situation. It is truly inspirational. The legislaure and civic systems must act swiftly to provide the bare mimimum facilities to the needy and particularly to girls and women – as openly appealed by our Prime Minister Mr Narendra Modi. Really Very Good inspirational life. I really got moved by reading the article. Very Inspirational indeed ! Kudos to Shri Vardhman Kale ji and his determination and perseverance. The movement does not stop here and awareness creation, community involvement and helping bring the change of considering the needs of the Sp. Abled citizens of India in all aspects of life from education to transportation to giving them equal opportunity for a life of dignity should be our goal. Each person can be the ” Changemaker” starting by changing the perspective and then going forward from there…Akanksha all the best for you future! Well done Ms. Akanksha so far, and hats off the entire Kale family. However, she isn’t alone. There were, are and will be many such “Akanksha” in our country alone. It isn’t the time blow the victory bugle yet. As a matter of fact, the battle has just begun. Question to all Indians: When will we wake up and do something to mitigate the suffering of those categorized as SAP?